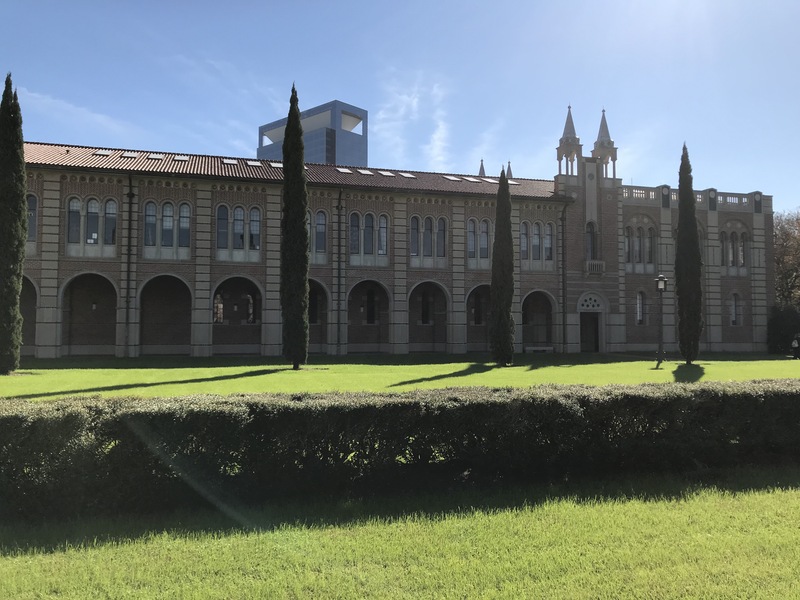 Sometime recently, maybe last week, I mentioned somewhere that I wanted to write a post about how I think Sewall Hall fails by being (unlike Lovett Hall and the original Physics Building) too symmetrical. “Fails” might be too strong a word, though, because it implies something that’s at least interesting. Sewall Hall isn’t a disaster. It’s just lackluster. You can immediately see that this is not the building we have. (The Depression killed the project back then.) You should also be able to see that it isn’t symmetrical although it looks like it at first glance. What we did get was something altogether different. 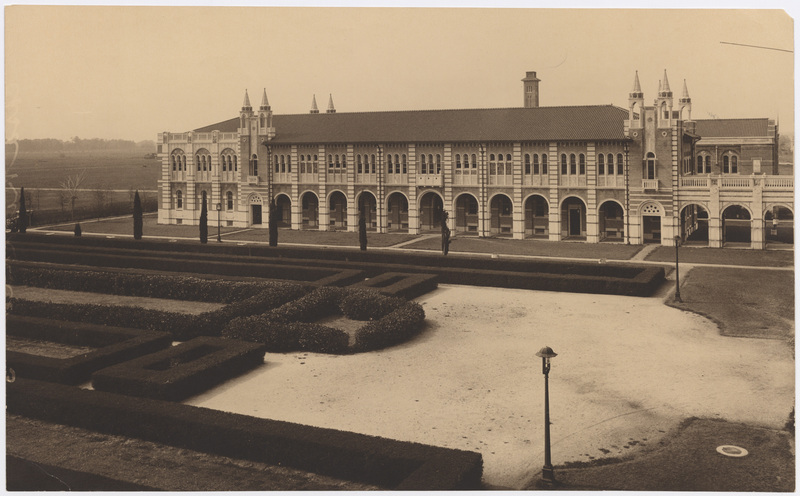 The story is that when Blanche Harding Sewall gave the gift to build it she specified that it should match the Physics Building on the opposite side of the quad. I don’t know whether this is true but I’m suspicious. 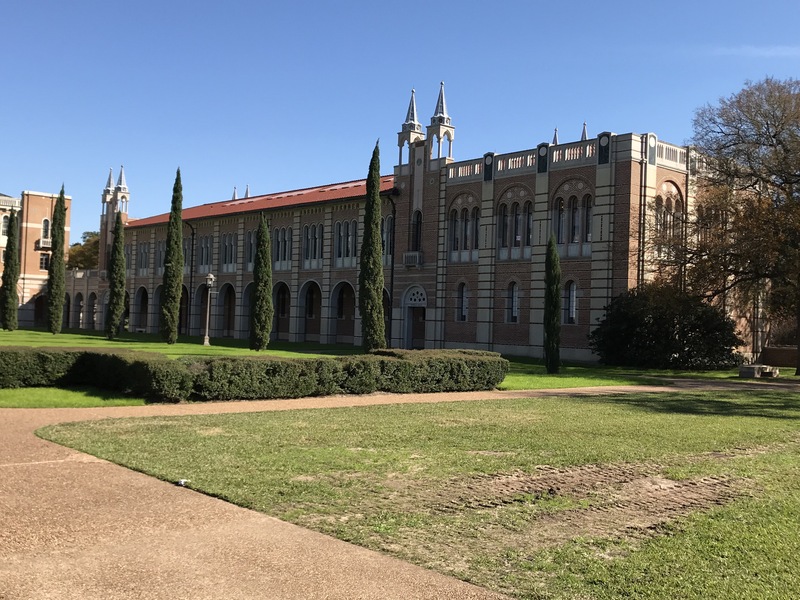 Mrs. Sewall, an intelligent and sophisticated woman, built as her home what I think is the only Ralph Adams Cram building in Houston not on the Rice campus. I don’t doubt she wanted something that would be in that spirit but insisting that it exactly mirror Physics doesn’t sound quite right. It’s hard to explain this without standing in the quad and looking at both buildings but Sewall is like a copy with the weirdness taken out. The most obvious difference is that there’s no middle door, which sounds like a small thing but isn’t–without that door the middle arch is the same size as the ones around it. Worse to my eye are the second floor windows. If you look closely at the Physics Building you can see that while they all seem to be the same size they aren’t. 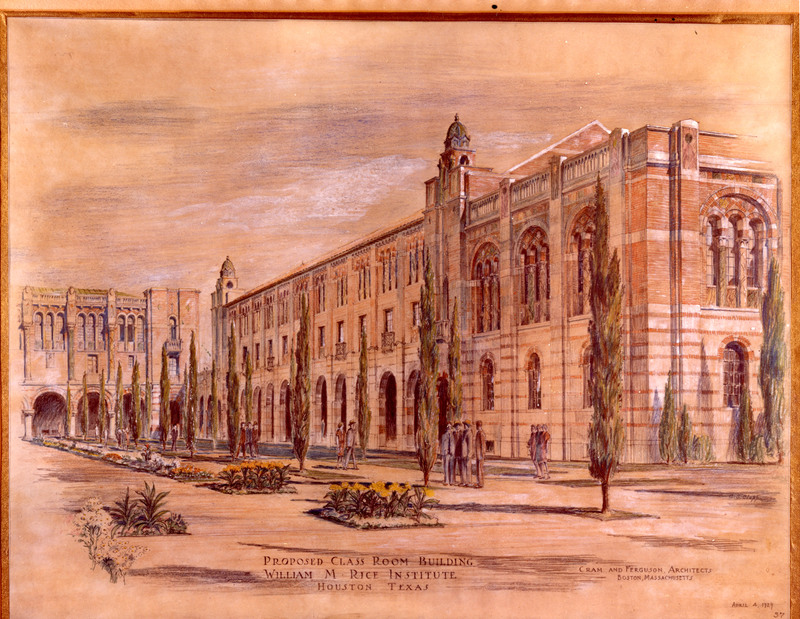 Cram used different lengths of marble to make the windows match the slant of the two lecture halls inside. They didn’t need to do that in Sewall so they’re identical. Again, I don’t think this is awful. It’s fine. But I do think it suffers badly by comparison. 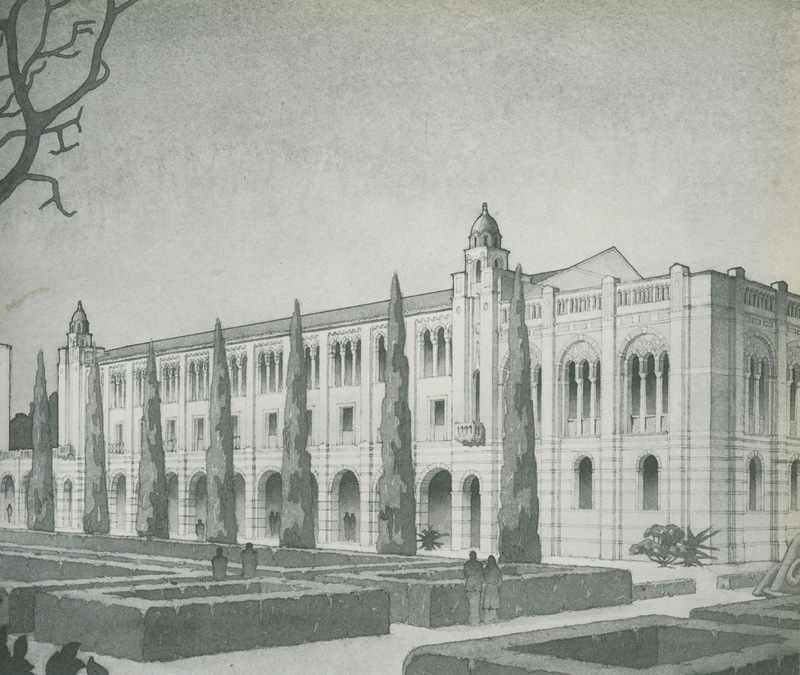 In retrospect they probably would have been better off building a cheaper copy of the 1929 Cram building, which wouldn’t have its superior predecessor sitting right there next to it. Next time you’re on campus go have a look for yourself. If you are looking, it is worth comparing the carved frieze on the arcade from Herzstein to Lovett with the cast one between Sewall and Lovett. It sure is. Details, details, details.